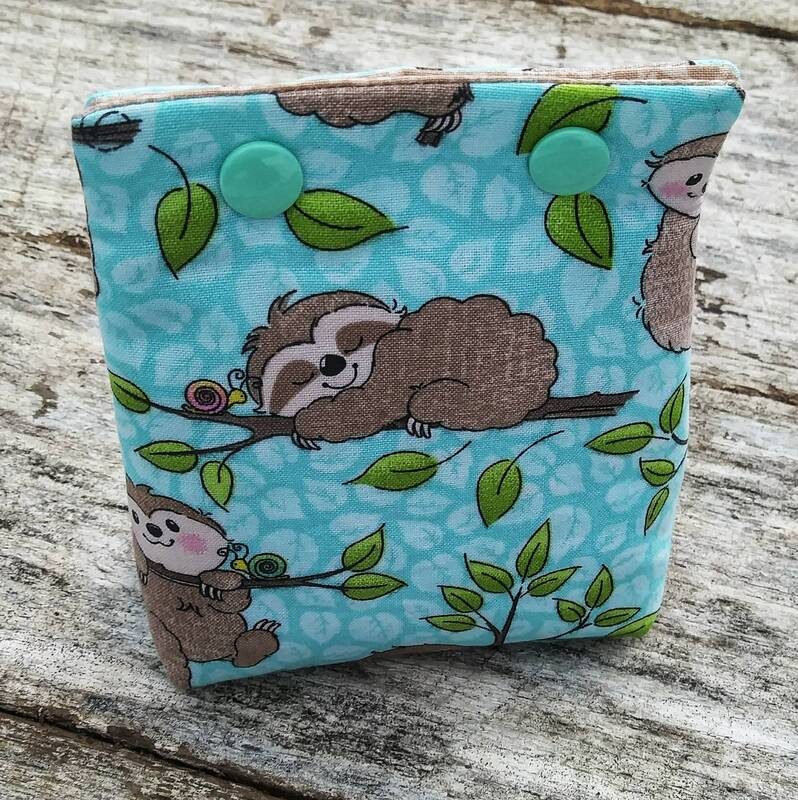 Mini sized sloth pouch. Snap closure small purse. Blue sloths bag. Cute, lazy sloths and snails. Just the size to rest comfortably on the palm of your hand. It stands on its own, and is fully lined. Two snaps secure the top closed. This tiny sloth pouch measures just about 3.5x5 inches and about an inch and a half deep. Wonderful pattern by Lorelei Jayne. Let it bee zipper pouch. Gardener gift. Apiarist. Coral small purse. Polka dots and bungle bees. Gardening pouch set. NWT Cute prints reversible fabric Bible cover, octopi and polka dots, standard sized. Octopus bible cover. Sea theme. Rick rack and anchors. NWT Cute prints reversible fabric Bible cover, Mama bear and baby bear, standard sized. Blue arrows on reverse. Bears family. Pink flowers.